Former president Robert Mugabe is ready to endorse MDC Alliance presidential candidate Nelson Chamisa ahead of the July 30 elections as prospects of him reconciling with his successor President Emmerson Mnangagwa continue to diminish, it has been revealed. According to multiple sources, Mugabe recently sent emissaries to Chamisa seeking dialogue ahead of the polls and indicated that he was willing to back the leading opposition candidate because he was not happy with the treatment he was receiving from Mnangagwa's government. Mugabe revealed in March that he would back the National Patriotic Front (NPF), a party formed by former Zanu-PF members who were not happy with the coup that toppled the 94-year-old ruler in November last year. The NPF has been negotiating a coalition with the MDC Alliance, but the talks suffered a severe blow last week after the Chamisa- led group allegedly reneged on its promise to give the Mugabe-linked party a significant number of constituencies. "Mugabe sent two prominent clerics with a message that he was willing to assist Chamisa gain an electoral advantage over Mnangagwa in the forthcoming elections. He says he is prepared to endorse Chamisa," said a source. "He is mainly concerned about the future of his family and says he believes Chamisa has the potential to become the next president." Chamisa's spokesperson Nkululeko Sibanda yesterday said he was not aware of Mugabe's alleged overtures. "If there are any such moves, I am sure (Chamisa) has not dealt with the matter," he said. "He will consider the invitation to meet the former president on merit. He will not respond to the media before responding to the person who invited him." Mugabe's alleged manoeuvres are said to have unsettled Zanu-PF, which is said to have reached out to former South African president Jacob Zuma, who reportedly contacted Chamisa last week. Zuma allegedly revealed that vice-president Constantino Chiwenga had indicated that Zanu-PF was not happy about Mugabe and his wife Grace's alleged support for the opposition. Zuma's alleged intervention is said to have led to the collapse of the coalition talks between the MDC Alliance and NPF, which happened on the eve of the sitting of the nomination court. The call is alleged to have triggered the last-minute collapse of alliance negotiations between Mugabe's outfit and the MDC Alliance. One of the MDC Alliance principals, Welshman Ncube, yesterday said allegations that Zuma contacted the Alliance leaders were false. He said he was also not aware of reports that Mugabe had sent emissaries to Chamisa concerning the elections. "It is completely false that President Zuma called," he said. "I have no knowledge of Mugabe seeking a meeting. "I was not involved in the talks nor was I briefed on the collapse (of the talks) between the NPF and MDC Alliance." 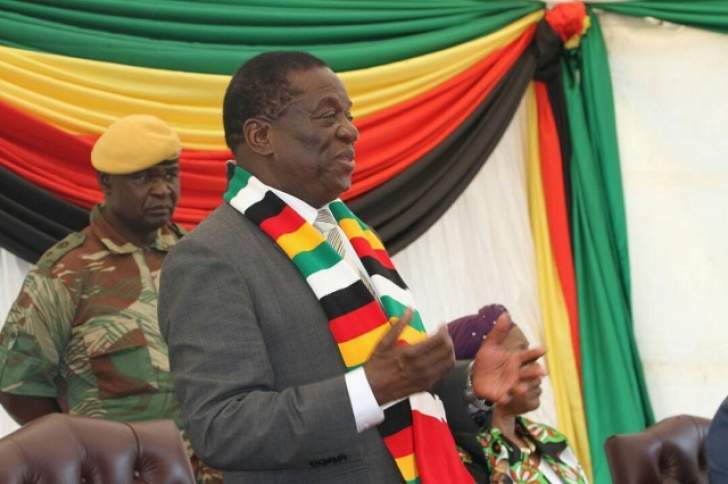 Information minister Simon Khaya Moyo said he was not aware of any contact between Chiwenga and Zuma, but said the statements being attributed to the VP could not be true because he was "a man of integrity". Sibanda said he was not authorised to comment about any contact between Chamisa and Zuma if it happened. "The president has not cleared anyone to discuss that. Those were high-level talks and they affect international relations and, therefore, only the president can comment on that," he said. Sibanda said there was never any talks between the MDC Alliance and the Mugabe-backed party. "There were never talks with the NPF, contrary to suggestions by the NPF that there were some negotiations that collapsed. As far as the MDC Alliance is concerned, there were no negotiations at all," he said. "President Chamisa said such a coalition would not be in the best interest of the country. Major coalition partners never got to an agreement about an alliance with the NPF." However, NPF spokesperson Jealousy Mawarire insisted that there were negotiations between the two groups. "Sibanda has been recently appointed Chamisa's spokesperson, not the MDC's spokesperson. He might not be aware that there have been some bilateral talks between the two parties," he said. "Those talks, as far as I know, centred on a pre and post-election pact and teams from both parties met in South Africa and in Zimbabwe. As we speak, there are still some ongoing consultations." Mnangagwa faces a stiff challenge from Chamisa in a poll that will be contested by a record 23 candidates.